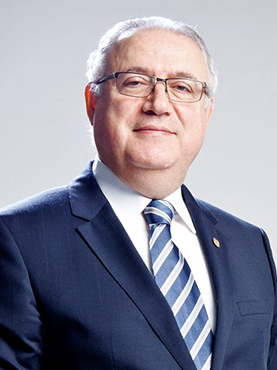 A recognized stalwart of the Middle East hospitality industry, Amine was the driving force behind the launch of some of the most successful hotels in the region, including the Crowne Plaza hotels in Dubai and Abu Dhabi and the Hilton Corniche Residence in Abu Dhabi, Royal Tulip, Tulip Inn, and Golden Tulip among others. After more than 35 years working with leading international hotel groups, Amine decided it was time to create his own regionally inspired hospitality projects in the region and to establish a company to balance local knowledge with global standards. Flamingo Hospitality Management Company was born in 1998 with three employees, and today the company operates throughout the Middle East & North Africa under its local brand and represents through its global partnership one o the largest international hotel companies in the world. Amine is the President of the MENA region for Louvre Hotels Group. Amine leads an executive team responsible for the branding, development and management of hotels across the regional footprint, considered as one of the largest mid and upscale hotel operators in the marketplace with a robust pipeline with over 50% growth in the short term. Amine is the recipient of numerous awards and recognitions, including Hospitality award at HORECA 2009, being named “Man of the Year” by ‘General Manager’ magazine in 2011, recipient of a “Gold Medal” for Tourist Investment Management at the Tatweej Academy of Excellence Awards, President Award for Louvre Hotels Group Worldwide. He is lecturer at HORECA Beirut, Lebanon for 8 years, a veteran lecturer of major trade shows in the Middle East and Europe from London to Antwerp, Brussels, Saudi Arabia, Dubai, Doha, Lebanon, Madrid and Syria, having specialized always in tourism and hospitality management. He is currently a member of the World Travel and Tourism Council (WTTC) and an advisory board member of the Arabian Hotel Investment Conference and the Emirates Academy of Hospitality Management. Vice President of Mediterranean Hotels and Restaurant Association, Vice President- Middle East of International Hotels and Restaurant Association (IHRA).